The latest beta version of the Skylight gem adds support for Sinatra apps. We've gotten a lot of requests for Sinatra support, and we're happy to finally get it out to users for testing. Our Sinatra support is as good as it gets: we of course instrument your requests, but we also made sure to support Tilt templates out of the box, as well as the Sequel and ActiveRecord ORMs. That means that if you drop in Sinatra support, you'll get the same level of detail as you'd get in a Rails app. Supporting Sinatra was a big project for us. It would have been easy to drop in the bare minimum and leave it up to you to instrument what you need. But when we do something, we like to do it well, so we took the time to treat Sinatra as a first-class platform on Skylight. During the beta period, we hope you'll tell us if it's falling short of your expectations. 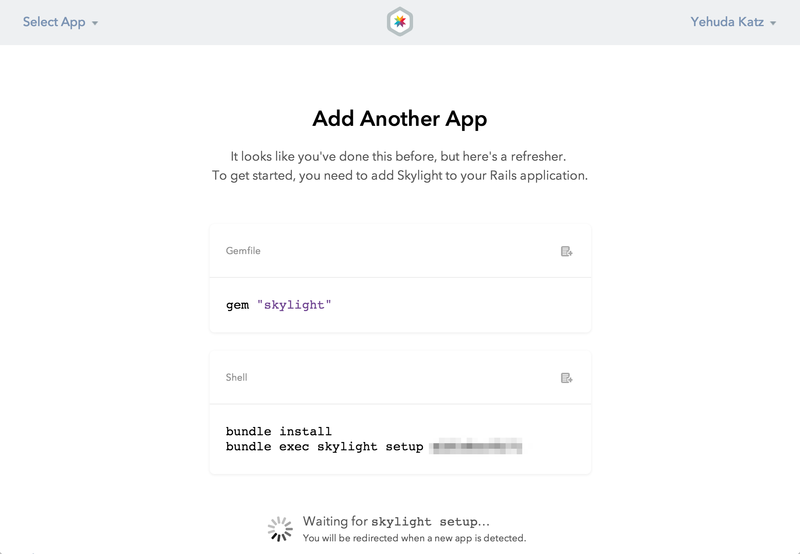 To add Skylight to your Sinatra app, start with the same process as adding a new Rails app. Once you've run bundle exec skylight setup, Skylight will drop a config/skylight.yml file in your current directory, which includes the authentication token for your application. You'll need to require "skylight/sinatra" and start Skylight using Skylight.start! somewhere in your Sinatra application. We recommend booting Skylight in a config :production block. When you deploy the application, make sure to set the SKYLIGHT_AUTHENTICATION environment variable with the value that you got from skylight.yml. Full instructions are available in our docs. Haven't tried Skylight yet? Turn your Rails and now Sinatra apps to 11 by signing up for a free, 30-day trial.